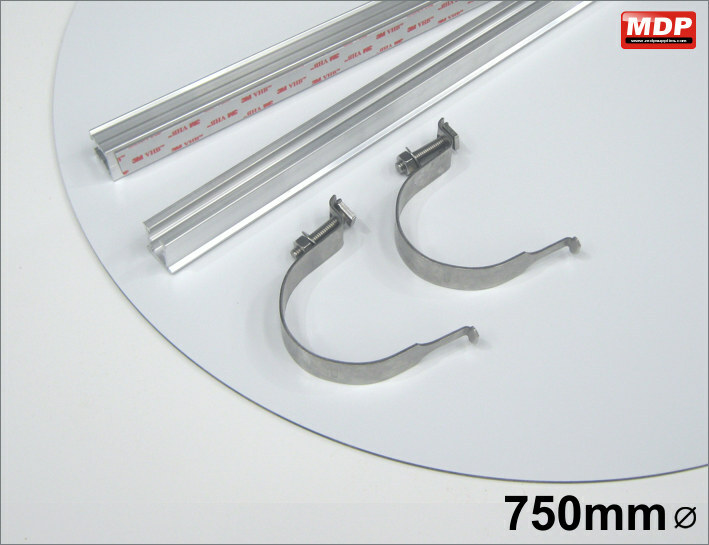 Please Note: Due to their length, posts can only be shipped to UK mainland addresses. Metal post 76mm with grey powder coating. 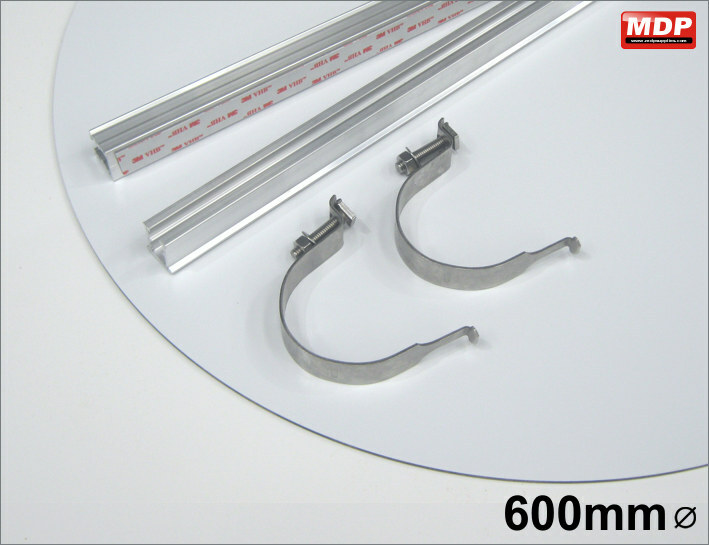 1000mm long. +/-10mm. 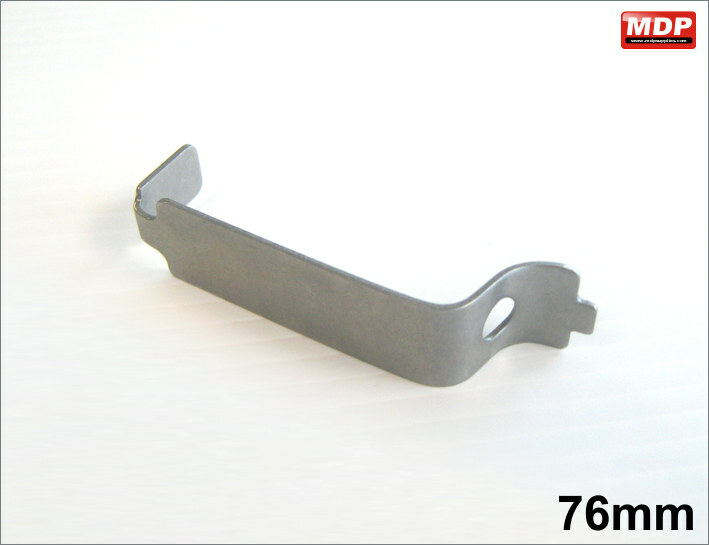 Metal post 76mm with grey powder coating. 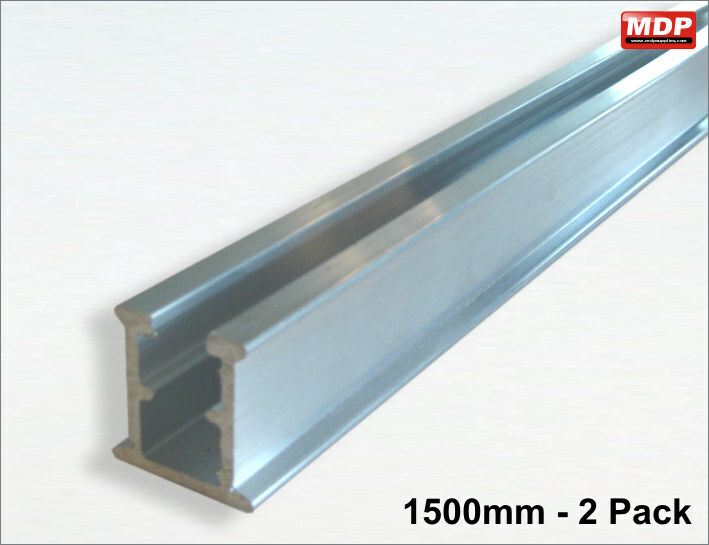 1500mm long. +/-10mm. Price for 1 - 2 £15.42 ea. Price for 3 - 4 £14.73 ea. Price for 5+ £13.95 ea. Metal post 76mm with grey powder coating. 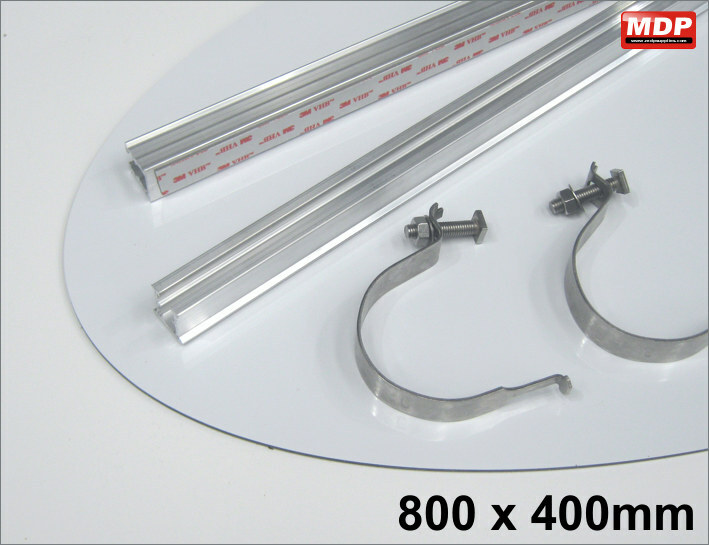 2000mm long. +/-10mm. Price for 1 - 2 £20.90 ea. Price for 3 - 4 £19.98 ea. Price for 5+ £18.90 ea. Metal post 76mm with grey powder coating. 2500mm long. +/-10mm. Price for 1 - 2 £26.37 ea. Price for 3 - 4 £25.22 ea. Price for 5+ £23.87 ea. 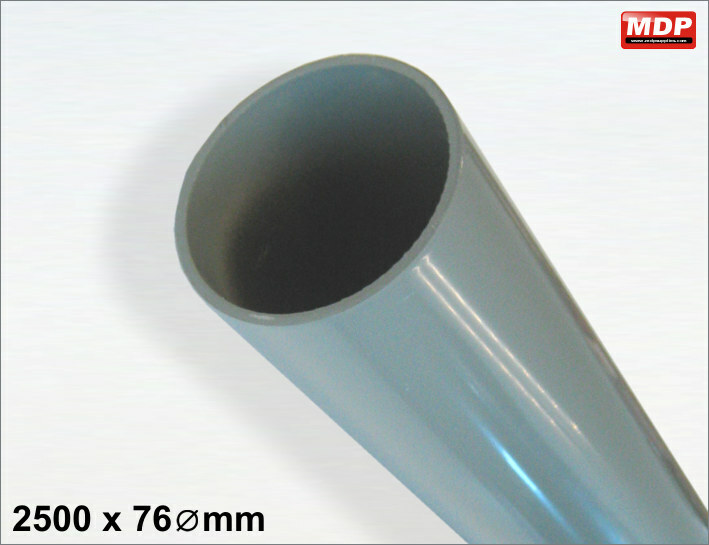 Metal post 76mm with grey powder coating. 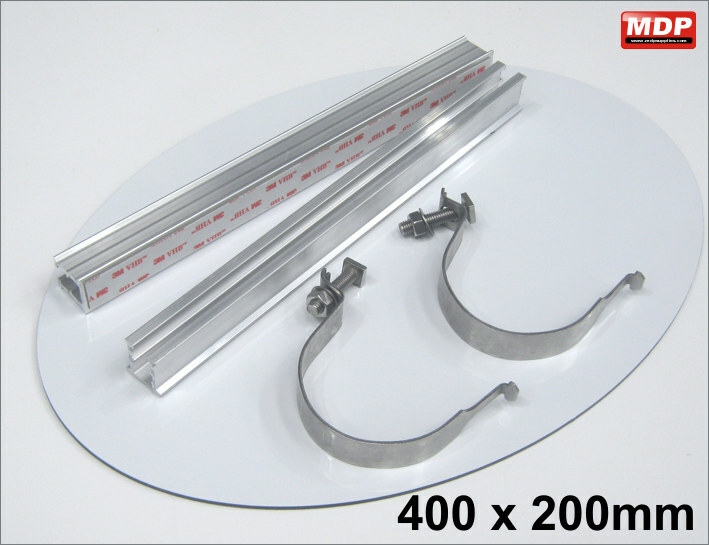 3000mm long. +/-10mm. Price for 1 - 2 £31.85 ea. Price for 3 - 4 £30.47 ea. Price for 5+ £28.85 ea. 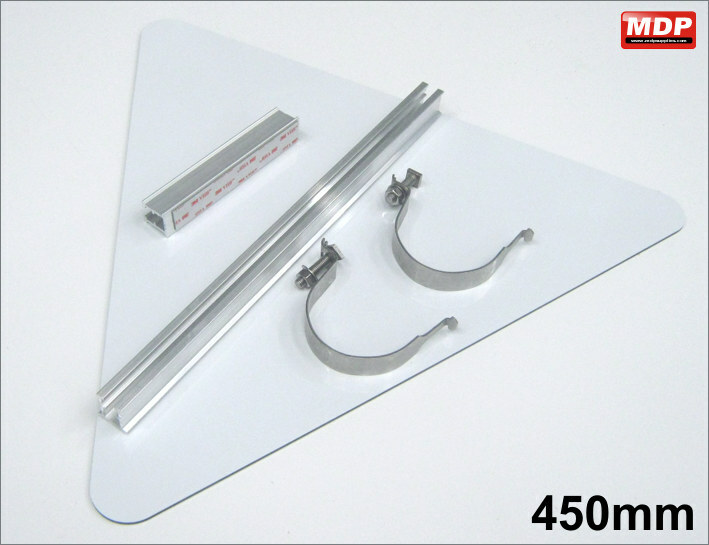 Pack of 2 - 500mm length 25x25mm aluminium sign channels. 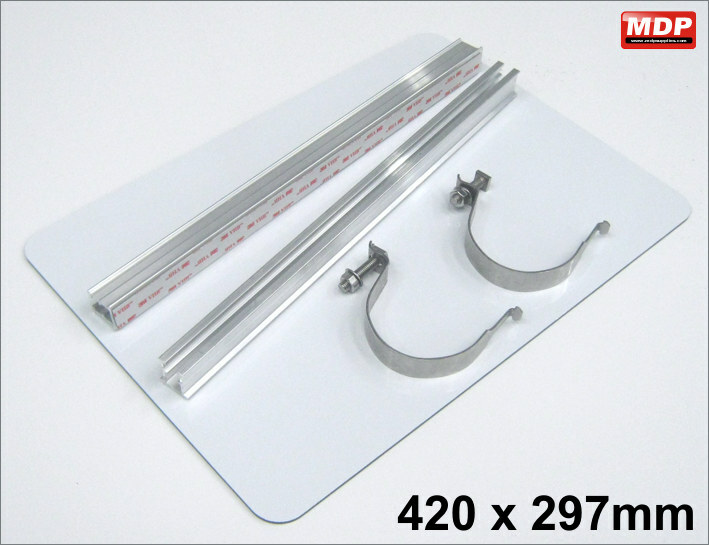 Pack of 2 - 1000mm length 25x25mm aluminium sign channels. Price for 1 - 2 £7.90 ea. Price for 3 - 4 £7.50 ea. 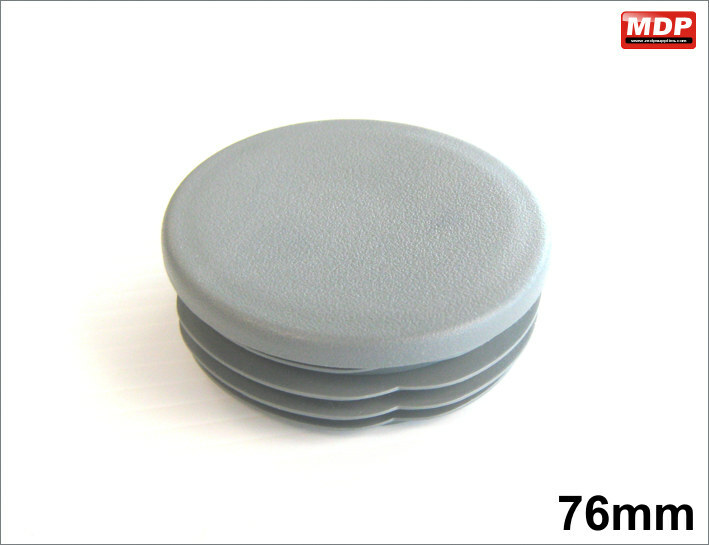 Price for 5+ £7.10 ea. Pack of 2 - 1500mm length 25x25mm aluminium sign channels. Price for 1 - 2 £10.85 ea. Price for 3 - 4 £10.25 ea. Price for 5+ £9.65 ea. Price for 1 - 2 £0.69 ea. Price for 3 - 4 £0.68 ea. Price for 5+ £0.67 ea. 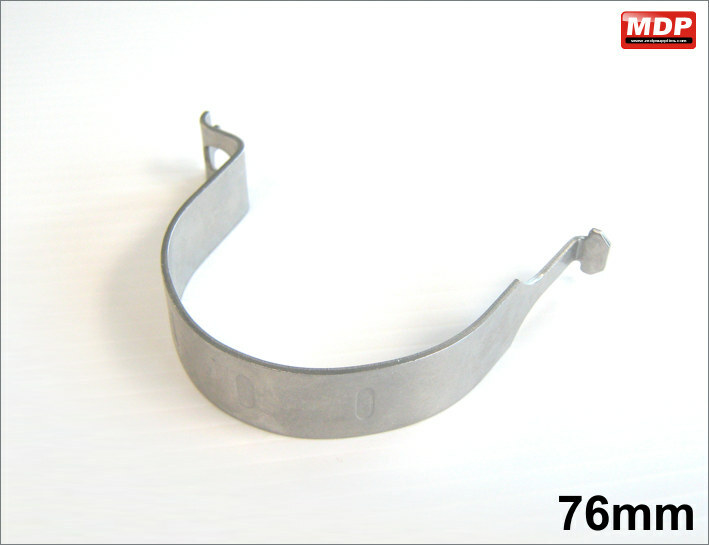 Clip for 76mm diameter posts. Slots into channel. Comes with fixing screw. Price for 3 - 4 £0.98 ea. Price for 5+ £0.97 ea. 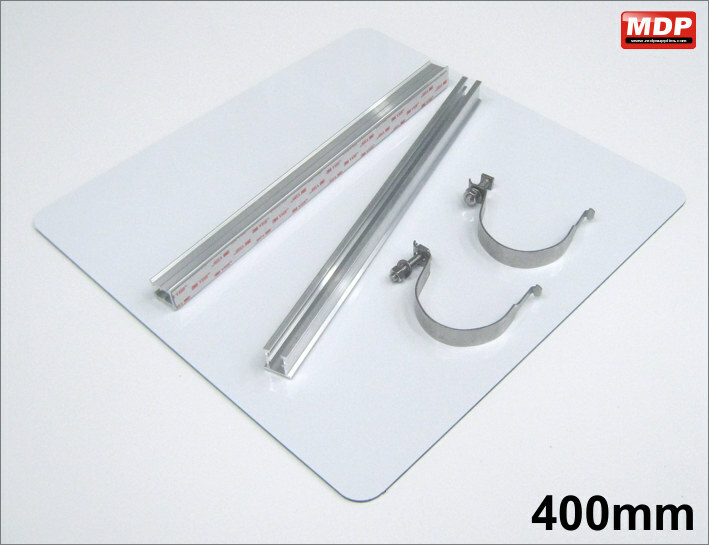 Clip for use with standard post clip to allow back mounting of signs on a single post. Price for 1 - 2 £1.09 ea. Price for 3 - 4 £1.08 ea. Price for 5+ £1.07 ea. 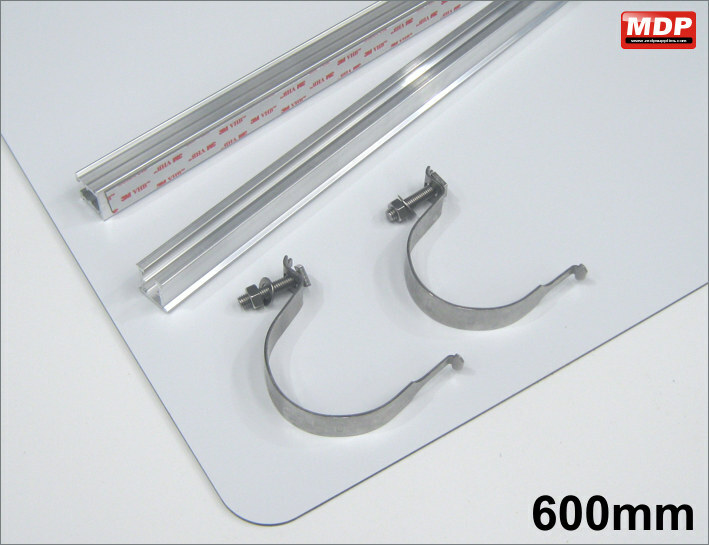 2 x 76mm post clips. The sign panel is made from 3mm aluminium composite panel with a .3mm skin and rounded corners. Gloss white finish on one side, matt white on the other. 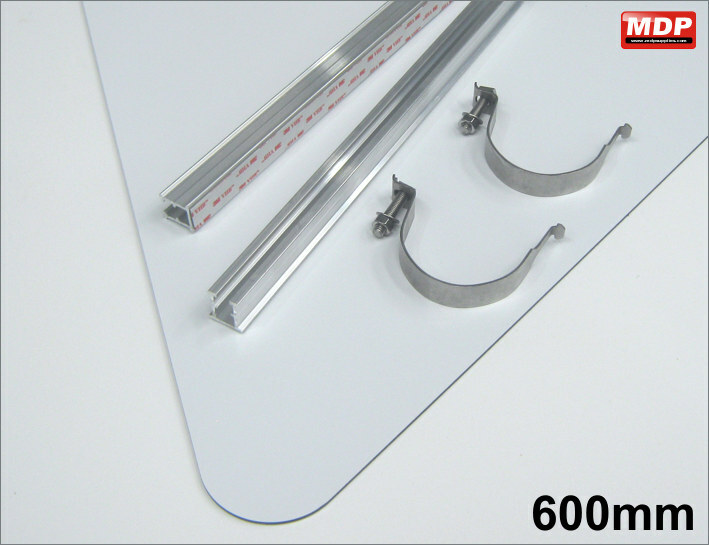 Sign channel is pre-taped with 3M VHB tape for easy application. 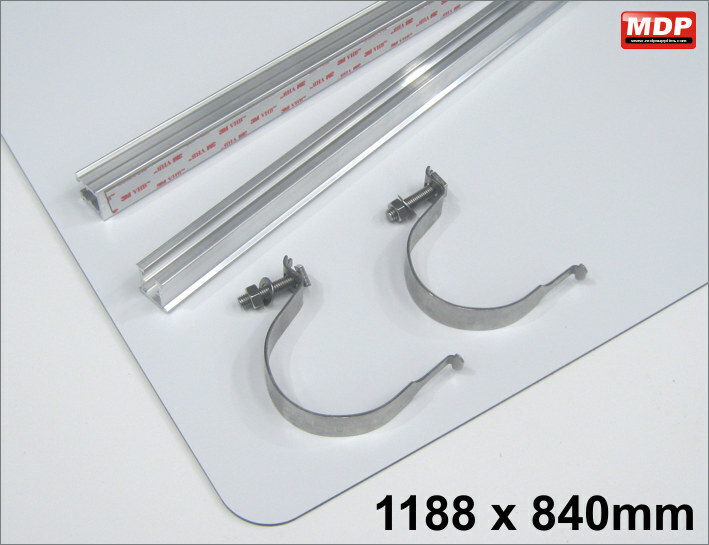 The sign channel lengths are cut for landscape hanging. If hanging portrait you will need to trim the channel. To make a complete post sign just add the post and the post end cap (see above). Price for 1 - 2 £12.60 ea. Price for 3 - 4 £12.34 ea. Price for 5+ £12.09 ea. Price for 1 - 2 £16.48 ea. Price for 3 - 4 £16.15 ea. Price for 5+ £15.82 ea. Price for 1 - 2 £24.05 ea. Price for 3 - 4 £23.57 ea. Price for 5+ £23.09 ea. Price for 1 - 2 £38.56 ea. Price for 3 - 4 £37.78 ea. Price for 5+ £37.01 ea. Price for 1 - 2 £13.48 ea. Price for 3 - 4 £13.21 ea. Price for 5+ £12.94 ea. Price for 1 - 2 £19.11 ea. Price for 3 - 4 £18.73 ea. Price for 5+ £18.34 ea. Price for 1 - 2 £23.03 ea. Price for 3 - 4 £22.57 ea. Price for 5+ £22.11 ea. Price for 1 - 2 £11.45 ea. Price for 3 - 4 £11.22 ea. Price for 5+ £10.99 ea. Price for 1 - 2 £14.42 ea. Price for 3 - 4 £14.13 ea. Price for 5+ £13.84 ea. Price for 1 - 2 £10.98 ea. Price for 3 - 4 £10.76 ea. Price for 5+ £10.54 ea. Price for 1 - 2 £13.61 ea. 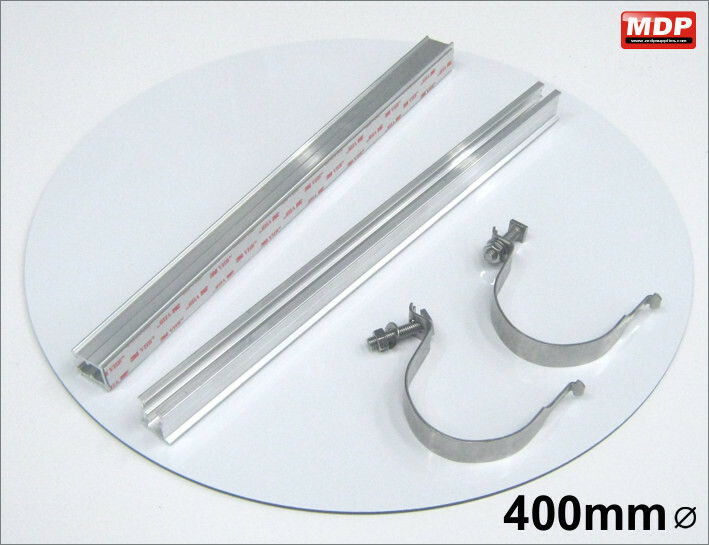 Price for 3 - 4 £13.34 ea. Price for 5+ £13.06 ea. Price for 1 - 2 £18.41 ea. Price for 3 - 4 £18.04 ea. Price for 5+ £17.67 ea. Price for 1 - 2 £12.78 ea. Price for 3 - 4 £12.52 ea. Price for 5+ £12.27 ea.